The K-Pop sensation return with We Are Here World Tour! 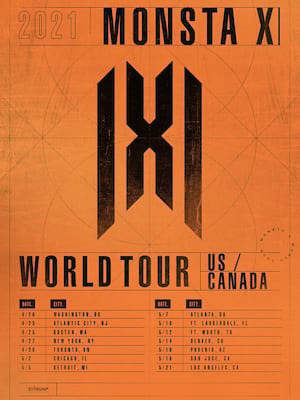 South Korean sensations, Monsta X are embarking on another World Tour in 2019! Fans of the pop band rejoice, as your favorite seven-piece boy band are on their way to tear up North America with their We Are Here tour. This extensive set of dates will see the boys trek across Asia, Austalia, Europe and North America. Lead vocalist & dancer Shownu, vocalist & dancer Wonho, vocalist Minhyuk Lee, vocalist Ki-hyun Yoo, vocalist & dancer Hyungwon Chae, rapper Jooheon, and rapper I.M. will be performing tracks from their extensive back catalogue as well as hits from their latest release Take.2 We Are Here. Relased in February 2019 Take.2 We Are Here hit the number one spot in South Korea and landed in the top 5 of the US World charts! 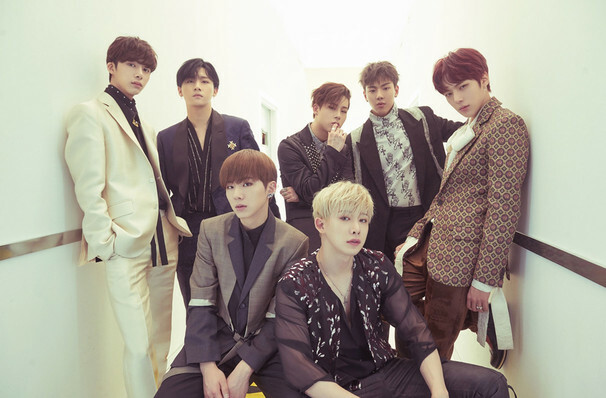 After being formed via a television show in South Korea in 2015, Monsta X quickly rose in prominence in the K-Pop scene with their hip-hop infused, and rap layered dance anthem tunes as well as their stunning dance routine. Don't miss your chance to see them live! Sound good to you? Share this page on social media and let your friends know about Monsta X at Fabulous Fox Theater. Please note: The term Fabulous Fox Theater and/or Monsta X as well as all associated graphics, logos, and/or other trademarks, tradenames or copyrights are the property of the Fabulous Fox Theater and/or Monsta X and are used herein for factual descriptive purposes only. We are in no way associated with or authorized by the Fabulous Fox Theater and/or Monsta X and neither that entity nor any of its affiliates have licensed or endorsed us to sell tickets, goods and or services in conjunction with their events.